NEW YORK—Tantalizing fans with glimpses of Dothraki and Northmen joining together to can-can across Westeros, a new trailer for the final Game Of Thrones season provided a sneak peek Friday at the show’s climactic 25-minute all-cast dance number. “This, obviously, is what the series has been building toward since season one,” said executive producer David Benioff, who was able to divulge that the final episode, titled “Dragons A-Go-Go,” would bring audiences to the edge of their seats not merely with several shocking revelations, but with a $15-million CGI sequence featuring the Night King “really breaking it down” in a three-minute hip-hop-inspired duet captured in a single camera shot and featuring a guest appearance by Lin-Manuel Miranda. “I think fans are going to completely forget about the long wait once they see 10,000 wildlings joining in a Busby-Berkeley-style kaleidoscope that culminates with Bran dramatically rising from his wheelchair to dance the bachata with Daenerys Targaryen. 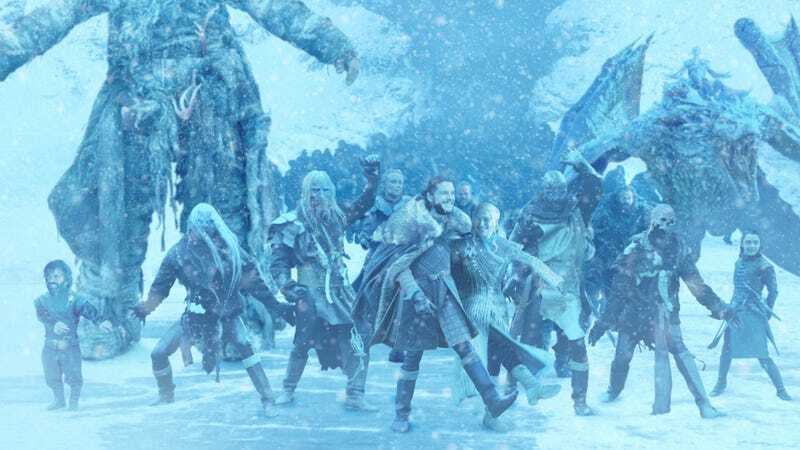 Even some of the characters we’ve lost in previous seasons will make an appearance as we pan up to the sky for a raucous rendition of ‘Celebrate’ led by a clapping, headless Ned Stark. While this ending diverges in some ways from George’s original vision—he wanted something more West Side Story—I think we’ve stayed true to his larger themes of power, soft-shoe, and betrayal.” Benioff would not confirm the rumor that more than half of the four-hour series finale is an extended Bollywood-style dance number midway through the closing credits.